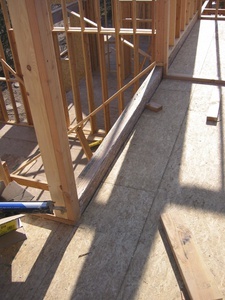 Building a new home is an exciting process. There are many energy efficiency measures available for new construction that can ensure that your new home is comfortable and that your energy costs are affordable. A heat pump is one of the most energy-efficient ways to heat and cool your new home. We offer rebates ranging from $300 to $1,200 for air source heat pumps. We offer rebates ranging from $20 to $50 on the purchase of Energy Star qualified clothes washers and dryers. Download an Appliance Rebate Application (PDF). Would you like to save on your water heating costs by up to 60%? A heat pump water heater may be right for you. Our program provides rebates and qualify assurance to PUD customers who install qualified models. Rebates are $150-$300 based on efficiency. Download program information.